From curries with perfect seasoning to crisp garlic naan to creamy paneer, Indian food is a world-class cuisine with something for everyone. The food is traditionally enjoyed spicy, but can be modified for those who like more mild food. While Indian restaurants aren’t common in North Dakota, these four Indian restaurants serve up some of the best dishes in the whole state! Walking through the doors of Fargo’s Passage to India feels like leaving North Dakota all together and travelling to India itself. Opened in 2005, Passage to India was a trailblazing culinary experience in Fargo and remains as the best Indian restaurant in the state. The food is all made using authentic recipes, a large range of spices, and only the freshest ingredients. The master chefs modify the traditional Indian dishes to be more palpable to the Midwestern taste buds. The menu includes Indian favorites like Punjabi samosa, lentil soup, tandoori kabobs cooked in a 750 degree clay oven, 11 different vegetable curries, 15 different meat curries, biryani made with either rice or noodles, breads and naan, and classic desserts like rasmalai and gulab jamun, among others. Himalayan Yak is a favorite restaurant for both vegetarian and Indian food lovers in Fargo. 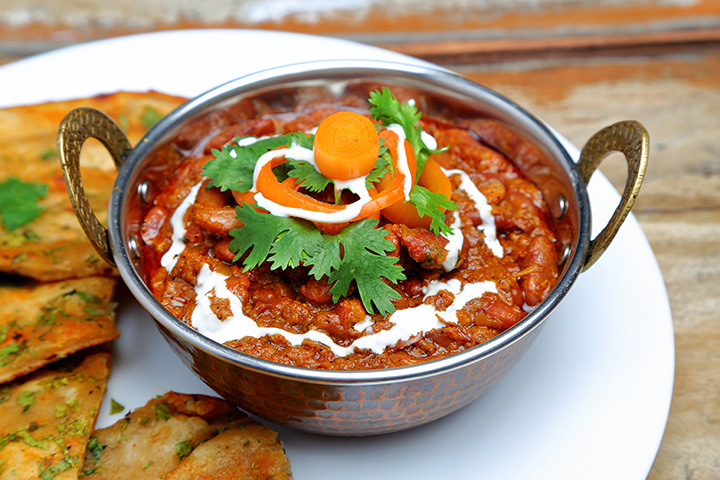 The menu features modern interpretations of traditional Indian fare, made by the expert chefs. It is one of food critics’ favorite local restaurants, due to the delicious food and undeniable authenticity. The menu offers items like samosas (savory stuffed pastries), pakora (mixed vegetable fritters), a variety of naan and kulcha, curry, masala, vindaloo, paneer, rice and noodle dishes, desserts, and meals cooked in the tandoor clay oven such as kebabs, tandoori chicken or shrimp, and more. India Palace Restaurant is a Fargo gem that serves up only the most delicious and authentic Indian dishes. The chefs at this restaurant pride themselves on being able to perfectly season each dish to fit customers tastes. Take out is one of their specialties, with 30 minute pick up or 60 minute delivery. Orders can be placed either through their easy online portal, on the phone, or in person. The menu has appetizers, drinks, tandoori delicacies, meat and seafood dishes, biryani dishes, chef specialties balti, vegetarian dishes, tandoori breads, and desserts. But you’ll want to try everything! Conveniently located right near the North Dakota State Capitol building, the Walrus Restaurant is a local hotspot that always seems be lively. While The Walrus Restaurant in Bismarck isn’t an Indian restaurant, they serve up food from a variety of cuisines and diners rave about the phenomenal Indian-style curry.